BNC male and female connectors calibration loads set. 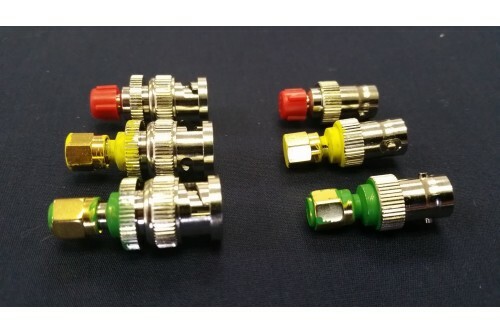 AS-PLS-BNC Precision calibration load set BNC male and female connectors. 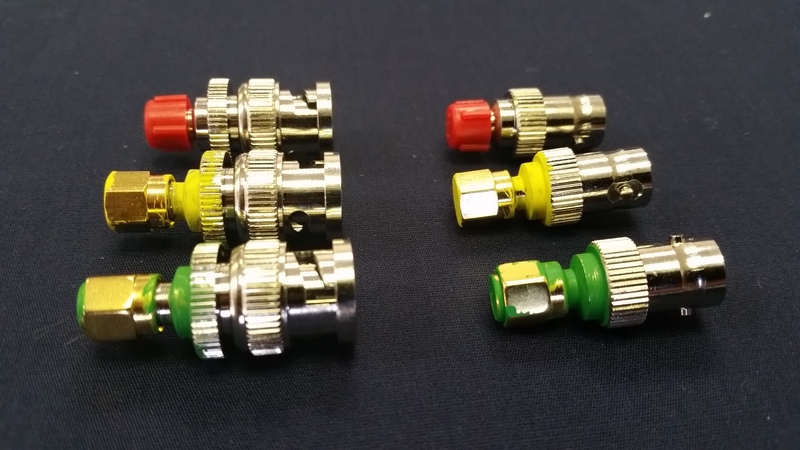 The BNC female and male connectors six loads set is optional for our line of Analyzers (Power AIM 120, AIM-4300, AIM-UHF, VNA2180 and VNA UHF) are now rated for up to 1.2 GHz. Replacement of the AIM's standard SO-239 connector for an N-type connector. This includes swapping t..
AIM-4300 - Antenna Analyzer, 5 kHz to 300 MHz. With US 120 V AC power supply. SO Connector. AIM-4300 - Antenna Analyzer, 5 kHz to 300 MHz. With US 120 V AC power supply. Includes calibration l..
AIM-4300 - Antenna Analyzer, 5 kHz to 300 MHz. With US 120 V AC power supply 100 to 250 V AC. In..
AIM-4300-NPS - Antenna Analyzer, 5 kHz to 300 MHz. No Power Supply SO connector. AIM-4300-NPS - Antenna Analyzer, 5 kHz to 300 MHz. Includes calibration load set, USB A/Mini B cab..
Possible alternative solutions depending on your exact needs:VNA-UHF VNA 2180AIM UHF DX Antenna..
Possible alternative solutions depending on your exact needs:VNA-UHF VNA 2180AIM UHF Antenna An..
AS-PLS-UM Precision calibration load set PL-259 ("UHF" male) connectors. For more precise c..
AS-PLS-NM Precision calibration load set with N-type male connectors. The N-type male conne..
AS-PLS-FULL Precision calibration load set with male and female N-type and male and female "UHF" (SO..
AS-PLS-UF Precision calibration load set with SO-239 ("UHF" female) connectors. 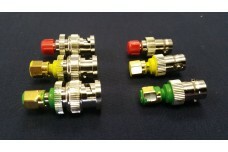 For more pr..
AS-PLS-NF Precision calibration load set with N-type female connectors. The N-type f.. The Vector Network Analyzer, VNA-2180, measures impedance (magnitude and phase) and filter transmiss..
Two Port Vector Network Analyzer, 5 kHz to 1200 MHz. N-type connectors. Includes Calibration load se..